People buy the ‘Who’, not the ‘What’. We help you become the ‘Who’ people want to buy from. For the most successful independent brokers, their brand is their personal reputation. Their clients don’t choose them because they are from XYZ Home Loans, they choose them because of how they present themselves and what others say about them. People want to find someone they trust will act in their best interests and who really understands them. Don’t get me wrong, it helps to show you have a professional organisation behind you that clearly defines the services you offer. But the goal of that organisation should be to push you to the forefront so you build clients who are truly yours, not someone else’s. That is what we do for you. Our focus is on You, the Mortgage Broker and building Your profile and reputation. You can choose to use the Mortgage Australia name or trade under your personal name, business name or company. The Mortgage Australia name has value to you simply because it quickly expresses that you provide home loan services and have the resources of a substantial company behind you.Whatever suits you, all our resources can be customised to suit how you want to publicly present yourself. There are no geographic, branding, recruiting or other limitations on where or how you run and build your business, apart from the normal legal and compliance restrictions governing all Mortgage Brokers. Many of our Brokers work as individuals or have built teams of Mortgage Brokers who work for them, all of which is possible with our commission structures and licensing support. The Mortgage Australia sales and marketing tools as described on this site are a great way to attract brokers to your business, support them in a meaningful way and keep them with you. According to the MFAA, the number of Mortgage Brokers is reaching ‘saturation’. Too many brokers, not enough borrowers. So I spend my time constantly learning, building and applying new marketing tools and systems for you to use – constantly innovating – so you can reap the benefits. In this industry, if you are standing still, you are going backwards. The knowledge, skills and resources to help borrowers with their home loans are very different from the knowledge, skills and resources to build a successful broking business. Providing a great service is all well and good, but it doesn’t mean anything unless you have effective and repeatable methods of client acquisition. – Thomas Watson, President of IBM. Mortgage Australia provides you the customer acquisition tools, systems and training you will need to achieve the true potential of your Mortgage Broking business. Prospecting, Self Lead Generation and Client Engagement are what we will help you with so your secure more clients to provide that great service to. Initial marketing to attract prospective clients, a sales process to convert them into clients, an operational system to deliver your service, then a post-sales marketing system to stay in touch and generate repeat business and referrals. Unfortunately, most aggregators focus almost all their attention on the operational part of your business, all but ignoring the other three critical components. You need to work with an aggregation system that substantially helps you with every one of these components, not just the Operations – whilst still paying you industry high commission rates. A business card, software and access to lenders is not enough anymore! That is the Mortgage Australia difference. Our unique and free ‘Low Rate Forever Service’ is a personal customer care program that we provide to your clients. We actively manage their home loans for life, while you get all the credit. Think of your Mortgage Broking business like a bucket filling up with water. 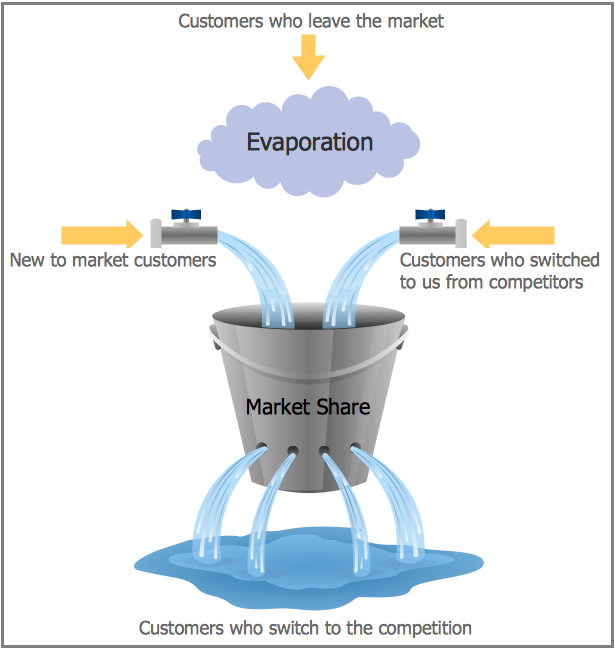 Your clients are the water that goes into that bucket. Most Mortgage Brokers don’t realise it, but they have a leaky bucket and wonder why it never gets full no matter how hard they work. Our Low Rate Forever Service plugs those leaks for you, allowing your business to steadily grow. Our ‘Low Rate Forever Service’ will protect your single biggest asset – your client base and trail book. To survive in the high-tech, high-regulation future of the mortgage industry, you can’t rely on simply getting your clients a great loan. You must continuously provide a proactive lifetime service. You may have done a great job for your clients in the past, but we live in a world where people are bombarded with marketing messages from other brokers and lenders every single day of their lives. So what are you doing for them right now to justify their loyalty to you? We solve that problem at no cost to you with our ‘Low Rate Forever Service’. We plug the holes in your bucket. Our administrative team actively manages the home loans of your existing clients on your behalf, so they have no reason to look elsewhere – because we are giving them a constant reason to keep you as their mortgage broker and giving them a real financial benefit for being your client every day. And in doing so, we also give you a clear point of difference over other brokers to win them in the first place. The Low Rate Forever service is a series of ongoing, personalised activities handled by our admin team to monitor and improve all your clients’ loans through renegotiation and reassessment. It is a tailored service, not just a series of automated emails or newsletters (although we have those as well). You get all the credit and the extra home loans to organise and a business that will stand the test of time and the challenges of the future. Stopping your clients looking around at home loans themselves because they know you are actively keeping their home loan competitive for them. Increased repeat and referral business. Protecting your trails and justify why you are being paid them to regulators. Giving you a point of difference over other brokers when dealing with prospective new clients and referrers. Ever lost a client to the bank? Then offer them something they can’t get if they go direct to a bank – why get the same loan from the bank who is going to try and increase your interest rates over time, when instead you have a team applying pressure on their bank to reduce their rates? Helping you win the client even when your loans aren’t the cheapest. Or if your client has been offered a similar loan from another broker, giving them a reason to get it from you. Saving you time, effort and worry, knowing your clients are being looked after. You don’t need to do it, we will do it for you, systematically and consistently. Presenting you professionally and making your clients feel more secure knowing you have administrative staff supporting you and looking after their interests. Improving your relationship with clients where the application process was difficult. When you speak with David Ham, ask him about our ‘Low Rate Forever Service’. Completing this course will give you more knowledge and methods on how to build your business than 90% of other Mortgage Brokers. 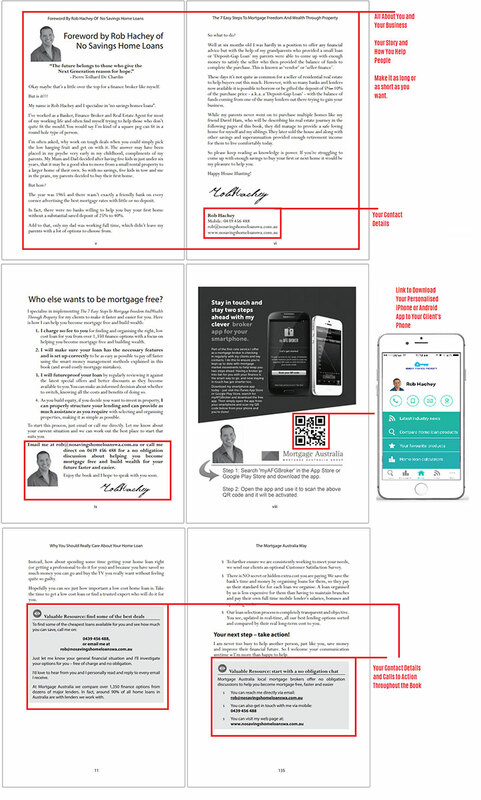 The Mortgage Broking: Lead Generation and Sales Mastery book lays the foundations, the next step is to follow our practical training guide to put these principles into action, taking advantage of the marketing systems Mortgage Australia has ready for you. The Mortgage Broking: Lead Generation and Sales Mastery Training Program is a self paced course comprising nine modules as well as a number of additional bonus resources and templates. This course is available free to all Mortgage Australia members and includes over 16 hours of audio and video training from six different experts with unique experiences and perspectives on the broking industry, along with supporting workbooks, reports, books and templates. This has all been put together with one goal – to give you the tools and support to build your own mortgage broking business and the lifestyle that only owning your own thriving business can provide. Explosive Lead Generation: How to Generate A Constant Stream Of HOT Leads & Referral Sources Without Wasting Valuable Time And Money. Leveraged Referral Systems: How To Easily Grab 10 Referrals EVERY New Client… PLUS How To Even Get Referrals From NON-CLIENTS. Direct Response Marketing Machine: STOP Being An Advertising & Marketing Victim. Learn The Secrets To Using Emotional Direct-Response Marketing In Mortgage Broking. Million Dollar Broker Sales System: The Million Dollar Sales System You’ll Need To Handle The Flood Of New Business Without Sacrificing Your Lifestyle And Burning Out. Maximum Database Harvesting: How To Actively Leverage Your Database To Harvest Ready-To-Buy Prospects And Referrals… PLUS Maximize Your Profit & Referrals Per Client…FOR LIFE. Power Broker Mindset: Learn How To Overcome Negative Influences & Unconscious Thought Patterns That Are Standing Between You, Success And A Huge Pile Of Money. Trail Replacement Strategies: Learn The Art Of Diversification … To Ensure Your Hard-Earned Income Is More Secure And You Are NOT A Slave To The Lenders. Millionaire Lifestyle Broker: REVEALED: The Six Core Business Concepts That Will Propel You Towards The Top 1% Of Your Industry…And ANY Industry You Wish To Dominate. Your Ultimate Personal Sales And Marketing Tool: Immediately Position Yourself As THE Trusted Expert And Draw Clients To You With Your Own, Personalised, Maximum Impact ‘Lead Magnet’. BONUS BROKER RESOURCES AND TEMPLATES! BONUS 1: Power Player Interviews: Rock Solid Referral Relationships: A Real Estate Agent and an Accountant tell you how to approach, create and build lasting referral relationships with members of their industry. BONUS 3: MPA Top 100 Success Secrets Exposed: Award winning Brokers reveal what it takes to get to the top. Includes interviews with a broker who finished 3rd in the MPA Top 100 Brokers and another who moved from 66th to 17th on the MPA Top 100 list in a single year. Report: The 5 Big Broker Mistakes (And How to Avoid Them) – Plus, The Inside Secrets to Growing your Business Fast! BONUS 4: Four Broker Boost Templates and Training Videos: Ready-to-go templates and training videos to help you implement them in your business immediately. Letter to get referrals from clients – template and training video Pre-Qualify Phone Script – template and training video Lead Generation Business Card – template and training video Real Estate Agent ‘Home Open’ Flyer – template and instructions. For the Brokers who complete the Mortgage Broking: Lead Generation and Sales Mastery Training Program, we have an Advanced Training Course that lays out a step by step, lead generation, referral setup, client engagement and appointment process. This includes videos, exact scripts and templates and is designed to give you the exact blueprint to follow from prospecting through to a settled loan. For Brokers who complete these self-paced courses, we offer comprehensive one-on-one Business Coaching on client engagement, self lead generation, prospecting and business systemisation. The www.mortgageaustralia.com.au website is designed to funnel borrowers to a personalised web page promoting you as their local broker. Borrowers can search by their postcode or by your name if they have already heard about you. The page is all about you and is designed to positively introduce you to the borrower and allow them to make direct contact with you. Anyone who contacts you from your web page is your client at your full commission rate. Your page on the Mortgage Australia website promotes you. It can be found by visitors to our site searching by postcode or by your name. Any leads from this page are your clients at your full commission rate – no splitting of commissions even though the lead came from the Mortgage Australia website. Your mobile number and photo are prominently displayed. Its all about getting clients to learn about you to break down the barriers to them contacting you. The better they feel they know you, the closer they are to trusting you. Links to your social media accounts – Facebook, LinkedIn and Google Plus. Prospective clients want to see that you are a serious professional and a multilayered web presence helps to demonstrate this. All about you – The page describes your background, your experience and how you help your clients. Whatever you want it to say. Contact Form – Your page has a direct contact form for people to send a message directly to you, received by you as an email. Any leads from this page are your clients at your full commission rate – no splitting of commissions even though the lead came from the Mortgage Australia website. Your page includes a call-to-action to your personalised and unique Free Book sign-up form. The key to creating easy sales is to build a pipeline of future clients that you are regularly in contact with, in a way that is meaningful and useful to them. Anyone who completes the form gets your personalised version of ‘The 7 Easy Steps to Mortgage Freedom’ and then goes on your marketing list. Your subscribers then automatically receive regular, targeted educational messages, building your profile and their trust in you. A professional marketing funnel personalised to you and ready to go. 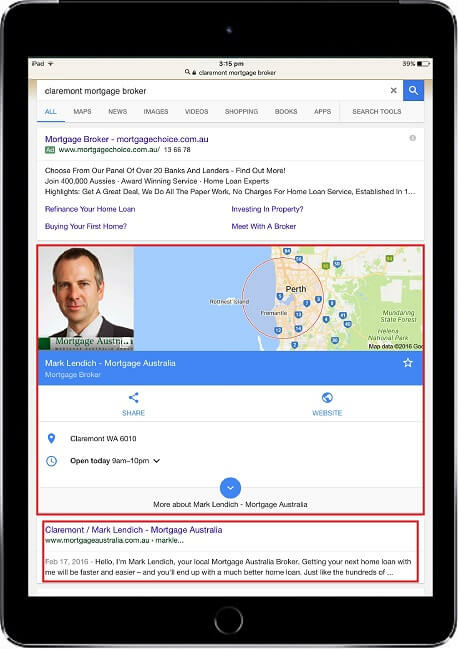 In most cases we are able to get first page search rankings on Google, in some cases multiple listings on the first page for borrowers looking for a Mortgage Broker in their local area. This is due to our experience with online search and also the investments we make into the underlying Mortgage Australia website itself. Your web pages are designed to be both desktop and mobile search engine friendly. In this example our pages appear in two places including the very first listing. 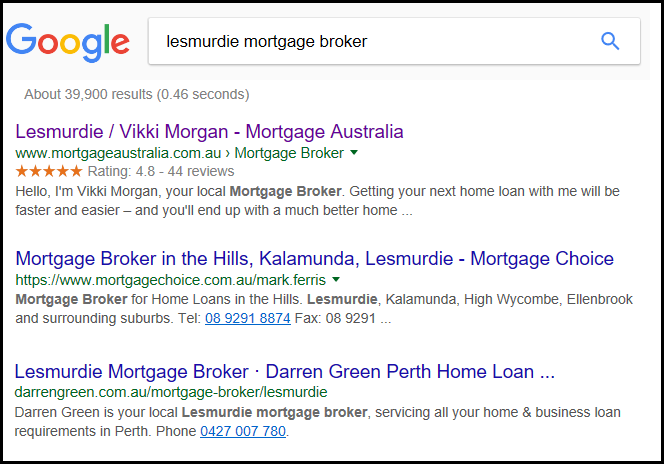 A ‘claremont mortgage broker’ search displays Mortgage Australia member Mark Lendich very prominently as the first two free listings, immediately below the paid advertisers. To become respected and followed on social media requires regular posting of useful content to your audience that is seen as coming from you, not just re-posting articles from others. Whilst there certainly is value in joining in conversations, sharing articles and showing you are in touch with the latest industry trends, the real secret is to be seen as a thought leader, as someone who creates the conversation. Effective use of social media is not about pestering people with sales messages, but instead posting educational and helpful information that is of use to people. Our process at Mortgage Australia is always the same, keep helping people even if they are not yet your clients, so the natural next step when they formally need a Broker’s assistance will be to just continue accepting your help and engage your services. 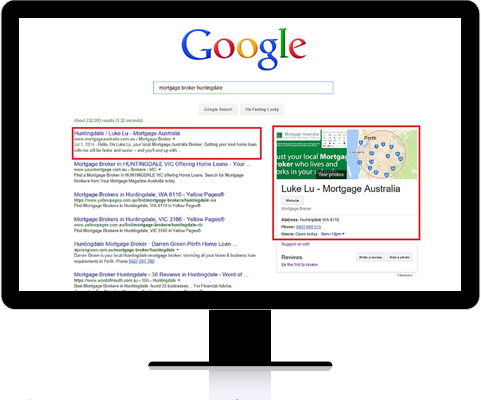 Mortgage Australia can do this for you on the major social media platforms of Facebook, LinkedIn and Google Plus. We have over 150 purpose written articles, with more added regularly. Our articles are posted to your page on a constant cycle, nothing you need to do, at no cost to you. You don’t even need to have a Facebook business page or Google Plus page, we can create it for you so it is set up properly. If you already have one, great, just add us an editor to your page and we can post our content to it, saving you heaps of time. Social media is a person to person medium, so we don’t hide you behind a logo, we make it all about you with your name and photo at the forefront. We’ll get 5 Star Ratings for you! Mortgage Australia will guide your happiest clients to leave high ratings and reviews on the reviews section of your Facebook page. Nothing is as important to your success in social media as having clients regularly giving you higher reviews. The great news is, you don’t have to do a thing – we will do it for you in the background, whilst at the same time collecting real customer feedback so you can continuously improve your services. Not sure where to start and what really works when it comes to paid Facebook Marketing? There is a right way and a wrong way to do it and we know what works and what doesn’t because we do it ourselves. We can guide you and have pre-built marketing systems you can customise to suit yourself and build a steady stream of new clients. 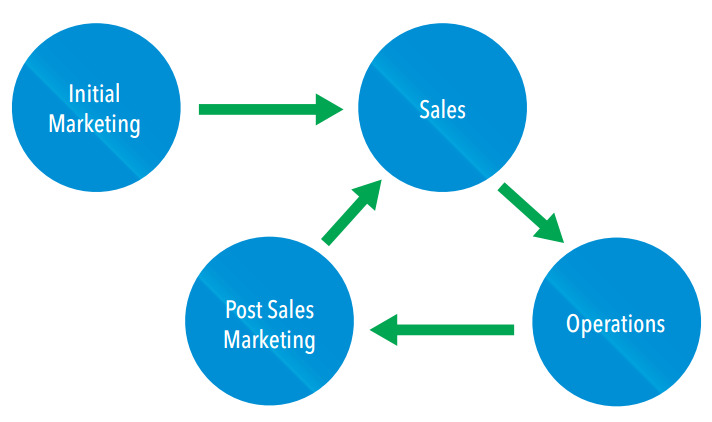 Create a steady stream of clients through proper marketing that you control instead of haphazardly chasing prospects. Your potential clients are bombarded with advertising and sales messages. You need to stand out and immediately get their attention in a way that makes them open to learning more about what you can do for them. The fundamental process of marketing hasn’t changed, it is still about getting the attention of potential clients, building their interest in your services and getting them to desire the results of what you can do for them, so they take action and accept your services. This is known as the ‘AIDA’ principle. At Mortgage Australia we have developed the marketing system that any Mortgage Broker can use to improve the rate at which prospects become clients. With all marketing, and as described in detail in the Mortgage Broking: Lead Generation and Sales Mastery book, there are three main steps. Step 2: Provide an educational item that grabs their attention and brings them into your circle of influence. Step 3: Continue to provide follow up information that builds trust, reciprocity and a desire to improve their lives through your services. Then, when they contact you, they are very ‘warm leads’ and require little persuasion to take action. Most brokers never build such a system because it takes a big investment in time and effort, so they revert to handing out business cards and brochures. Worse still, they have little or no meaningful follow-up so the people they meet quickly forget about them. We all know that it takes several ‘touches’ with a prospect to build trust and turn them into a client. Yet so few Brokers actually do it, or do it correctly. It’s a lot easier when you start with an impactful item like your own version of The 7 Easy Steps to Mortgage Freedom and have established yourself as an authority and not ‘just another salesperson’. The next natural step is to send them useful information that is targeted to their home loan needs and that reinforces you as the expert. Mortgage Australia gives you your own personalised email autoresponder system that sends your clients further educational information at regular intervals, written in a way to draw them closer to you and build a desire for your services. This is a professional prospecting system that has taken years to build, test and refine. It is designed to build your authority with your clients so they turn to you for their next home loan, without you having to spend hours chasing them up. Critically, this information is segmented by client type, so it is targeted and relevant to them – we DO NOT send the same emails to different categories of borrower. There is no point sending first home buyer information to an experienced property investor or to a home owner thinking of upgrading. Each email is personalised to you, looking as if you sent it. The ‘from’ and ‘reply’ email address is your email address, with your photo and full contact details in it. All you need to do is tick a box to decide which type of client it is, then they receive emails from you with relevant educational information that builds on The 7 Easy Steps to Mortgage Freedom that you have given them, building your reputation and bringing them closer to you. Who is the client going to choose? The broker who gave them a business card OR the broker who gave them a book with their face on the cover and then a sequence of targeted emails over weeks and months, as well as their normal personal followup process. 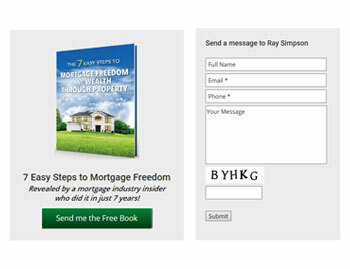 You will be given your own unique page where you instantly send anyone an e-book version of your personalised version of The 7 Easy Steps to Mortgage Freedom and Wealth through Property and put them on your automated follow-up system. – or you can create your own redirection link from your own website or domain. 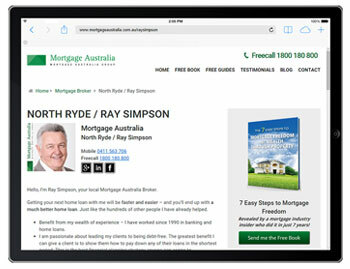 As well as you adding clients who request a copy of your book, the book signup page is prominently displayed from your page on the Mortgage Australia website, so site visitors can sign themselves up at any time. All of this costs you absolutely nothing. 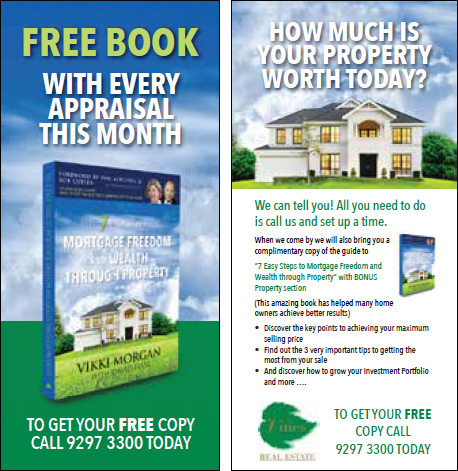 This 250 plus page book is in the National Library of Australia and was purpose written to be a highly effective ‘lead magnet’ for Mortgage Brokers. When you need to open doors, start conversations and make a big first impression, this is what you use. 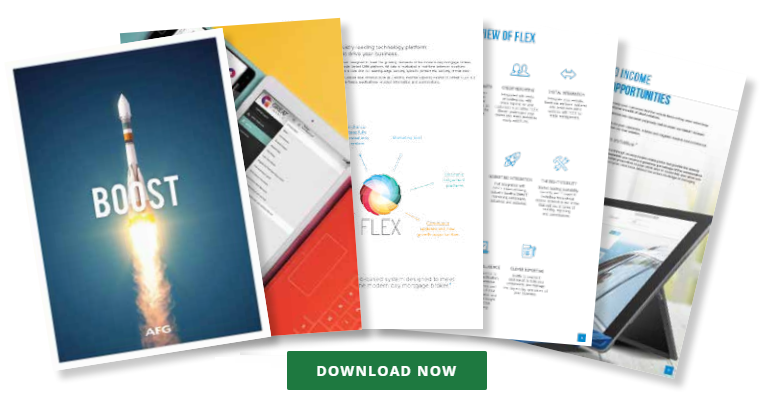 We personalise the book to you and add unique content tailored to you and your target market to genuinely make it your Ultimate Personal Sales and Marketing Tool as well as providing training on how to get the maximun impact with it. The recipient will see your photo on the front and back covers as well as a few times in the initial pages within the book itself, as well as unique content that we create which is all about you. Once again, the question you need to ask yourself is this “Who wins the client?” Is it the broker who hands over a business card or the broker who hands over their company’s book with their face on the cover that teaches the client about home loans, becoming mortgage free and building wealth? Just seeing the book will convert more prospects to clients. For those that read it, it lays the foundation for moving them to become lifelong clients by educating them on your ongoing value and the service you will provide them in the future. The books themselves cost less than $7 each to produce, but have a far higher perceived value to your clients! The hard work of actually writing and producing the book has already been done for you. 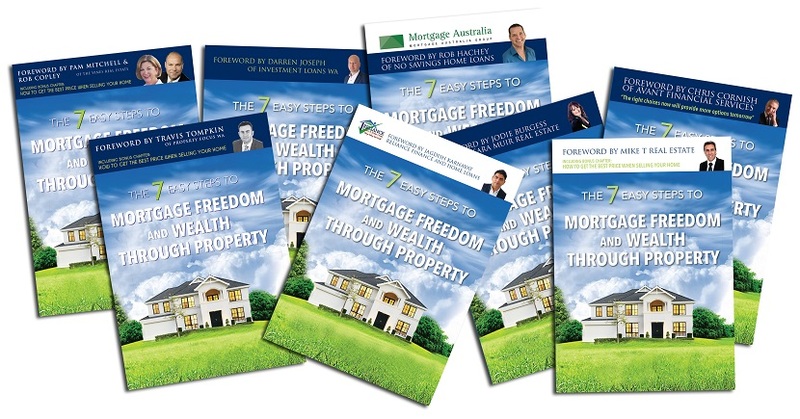 The real power of your personalised version of The 7 Easy Steps to Mortgage Freedom and Wealth through Property’ is using it with professional referral partners – in a way that makes you invaluable to their business. Our co-branded referrer versions make a big impact on real estate agents, accountants, financial planners and builders and set the stage for a referral relationship that lasts. Your referrers will see you as a welcome guest, not an annoying pest. In some cases we have had to turn down referrers because we have had too many in the same area wanting to work with us. We have had Mortgage Brokers who are brand new to the industry and with no sales background walking into Real Estate Agencies and using our co-branded book to organise referrals on the spot. Not only does it make it a lot easier to get referral partners to agree to work with you, it makes it a lot easier for them to regularly refer deals, which are in turn also much warmer leads. Its all about ‘What’s in it for me?’ for your referrers. Do you think if you walk into a Real Estate Agency with a genuine way to help them get more listings they will be interested in talking to you? Our system works so well because we have created the book in a way that makes it a tool for your referral partners to get what they really want – more clients for their own business. We have additional ‘Bonus Chapters’ in the book specifically promoting Real Estate Agents, Financial Planners, Builders and Accountants. 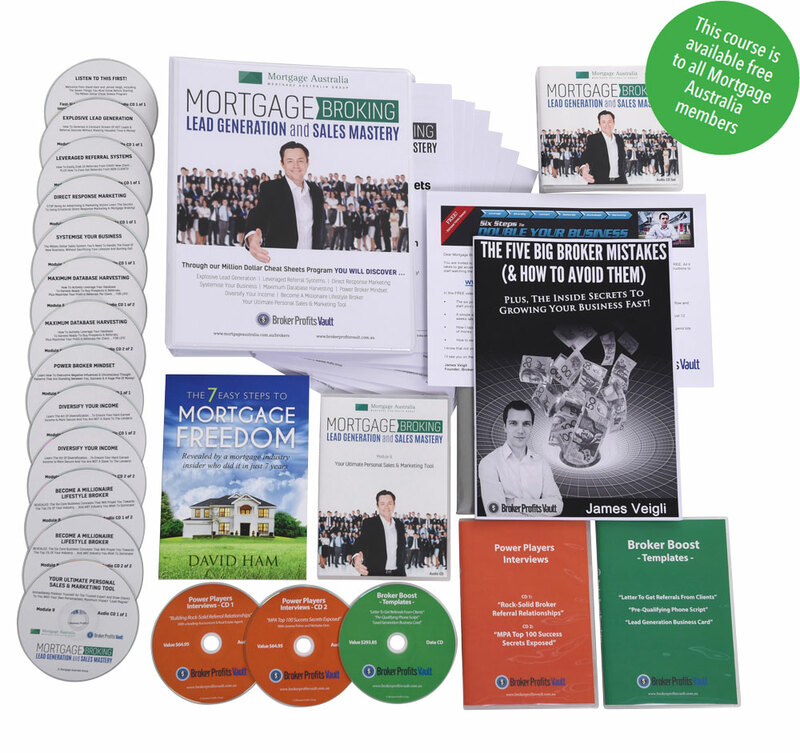 Just like with your version of the book we customise it to their business so it becomes their promotional tool and they get all the benefits from it – making you irreplaceable to them and not ‘just another Mortgage Broker’. Simply put, they know they if they don’t use the book to get a marketing advantage over their competition and refer you clients with it, their nearby competitors will. Give your professional referral partners what they really need – a unique way to get more clients for their own business which also promotes you at the same time and makes it easy for them to refer to you. Not only that, we can help with marketing materials to support the co-branded book and help your referral partners get more appointments for their business. Do you think they will want to actively refer clients to you now? They will have to because they won’t have a choice if they want to keep using your book to promote themselves and not let their competitors have it instead! 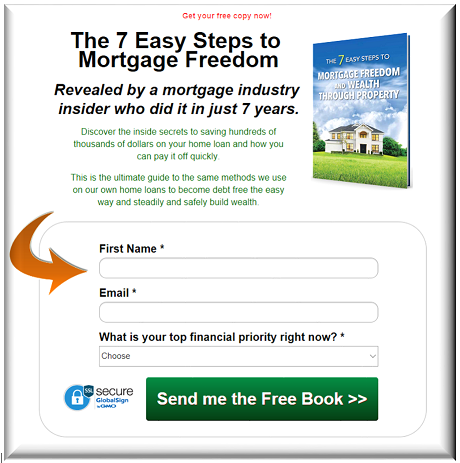 We build upon the original version of The 7 Easy Steps to Mortgage Freedom to create a unique version personalised to you. There are many ways we customise it to you, both on the cover and throughout the book. We are not saying you wrote the book, but we are making the book all about you and how your expertise can help your clients, ensuring the client thinks only of you when seeing or reading it. All you need to do is provide your photo and write as little as a single page about yourself, your business and how you help your clients. * If you prefer not to personalise the book to yourself, we also provide what we call ‘clear’ versions. In these versions we have removed all references and contact details of any specific broker. You can simply staple your business card inside the cover. I even remove all my details from the front and back cover. Your photo is shown six times – on the front and back cover and four times in the first several pages. Your name, phone number, email and web address are shown around a dozen times or more throughout the book at various ‘Call to Action’ sections. We can also co-brand the book with you and your professional referral partners – adding them to the front, back and interior of the book, along with your details. A plan to make you financially healthier, wealthier and wiser. Thinking of selling? How to choose the right builder for your next home. How to get the best price when selling your home. Investment properties and tax: Get it right or pay too much. Want an even faster and easier way? If you prefer not to personalise the book to yourself, we also provide what we call ‘clear’ versions. In these versions we have removed all references to any specific broker. You can simply staple your business card or write your details inside the cover. If you want Real Estate Agents to promote you to their clients, you need to make it as simple as possible for them. We have professionally designed flyers that can be customised and branded to you and any real estate agent you work with for them to hand out at home opens and use as inserts in your book. Did you know that the number one way brokers get clients is through personal recommendations? And the second most important way you’ll get clients is through your online reputation. If you want a fighting chance to win the next generation of internet-savvy borrowers, you must build a positive online presence and reputation. Your online reputation is made of up reviews and ‘star ratings’ that clients can publicly leave for you on Facebook, Google and other review sites and that appear on those pages and in search engine results. In fact, most borrowers will ‘check you out’ online after being recommended by a friend or your professional referral partner – so you’d better have a solid online reputation or they may never contact you and you’ll never even know about the opportunities you are missing. Only 9% of consumers never search for a business online. Only 14% of consumers would consider using a business with a one or two star rating. 94% of consumers would use a business with a 4 star rating. 80% of people trust online reviews as much as personal recommendations. Mortgage Australia will do it all for you. You don’t have to do a thing. 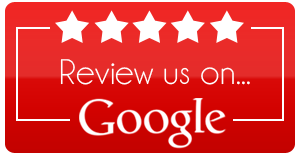 We request reviews from all your clients and you get copies of all the positive testimonials your clients make about you and can use them in your own marketing. Most importantly, we direct those that are happiest with your services to leave verified public reviews and star ratings for you. We certainly don’t ignore the low or average ratings you might get on rare occasions, but we treat them as a learning opportunity to allow you to continuously improve your services and repair the client relationship if possible, without harming your online standing. Which broker in the below Google search results do you think potential clients will call first? The one with a high star rating and lots of reviews! Remember, what other people say about you is far more important than anything you’ll ever say about yourself. Businesses that regularly survey their clients and ask them how they can do things differently or better to improve their services, grow 3 to 10x faster and are up to 2 times more profitable than those that don’t. It is a fundamental aspect of mortgage broking that if you regularly ask your clients what you are doing well and what you are doing poorly, you can actually improve in the areas that matter: what your clients actually want you to be doing for them, not just what you think they want you to do for them. Why is regularly asking for feedback so powerful? Because over 95% of unhappy clients don’t complain to you directly and almost all of them will simply choose to never do business with you again – and they certainly won’t recommend you to others. We will do this for you – with no expense or effort required from you. 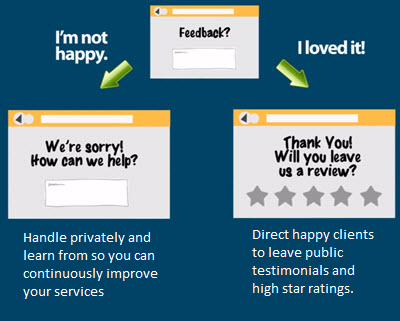 As well as collecting testimonials and public reviews through our 5 Star Rating System, Mortgage Australia also systematically collects feedback and suggestions from your clients on areas for improvement. We will eliminate your blind spots and help you steadily perfect your broking. It doesn’t matter how good a service you think you provide – what matters is understanding your client’s perspective. Doing so will enhance the long-term success of your business while your competitors will be left wondering why they can’t keep up with you. It will help improve your services. It allows you to genuinely measure customer satisfaction (you can’t improve what you can’t measure). It provides actionable insight to create a better customer experience. It can help improve customer retention by addressing their normally unspoken concerns. It delivers tangible data that can be used to make better business decisions. It can be used to identify customer advocates. It helps turn unimpressed clients into repeat clients. If you have been in the Broking industry for less than 2 years and need a formal mentor, we will assign an experienced Mortgage Australia broker to you. They will help you to learn the ropes and assist with all the operational aspects of your business. This includes helping you get set up, assistance with loan scenarios, compliance, lodging loans, learning the software, etc. You may want to go out on some appointments with your mentor or have them come along to a few of yours. Unlike many other broking groups, your mentor is a real, active broker who is up to date with the latest lending policies and products and is dealing with clients and lodging loans every day, not someone who is a ‘professional mentor’ and hasn’t actually written a home loan in years. With Mortgage Australia you get all the support you need to provide the most professional service possible, and get clients for it – including our Facebook Group, your local AFG Business Development Manager, your Mortgage Australia Mentor and also David Ham to assist you with your marketing and building your client base using our tools. There are no fees for any of these services. You can spend less time on low value, frustrating tasks such as data entry, chasing documents and your compliance headaches and more time building your business. We all know we need to be working on our business and not in it, but we get caught up in administrative work that we should be outsourcing. Why don’t brokers outsource these tasks? Because it is usually too expensive and they don’t know how to do it in a way that genuinely saves time and effort. We have solved that. We have trained offshore staff and a flexible loan submission to settlement process that leaves you fully in control, but saves you huge amounts of time and frustration. In fact, our loan processors are trained to the level of being a file auditor, so they can handle all compliance and bring loan issues to your attention. Loan processing companies normally charge over $300 for this level of service, but we provide it for just $125 per loan application – and to help you experience the freedom it provides, your first 3 loan applications are completely free! On top of this we can also provide virtual assistant support for many other administrative functions. The end result is higher quality lender submissions, better database and compliance management, while you can spend more time providing a great customer service experience to your clients and less time shuffling paper. At Mortgage Australia, we believe in the old saying, ‘it takes a village’. Most Mortgage Brokers tend to work by themselves or in small groups, which is not only an isolating experience, but it also increases your workload. The good news is, you don’t need to do it all by yourself. 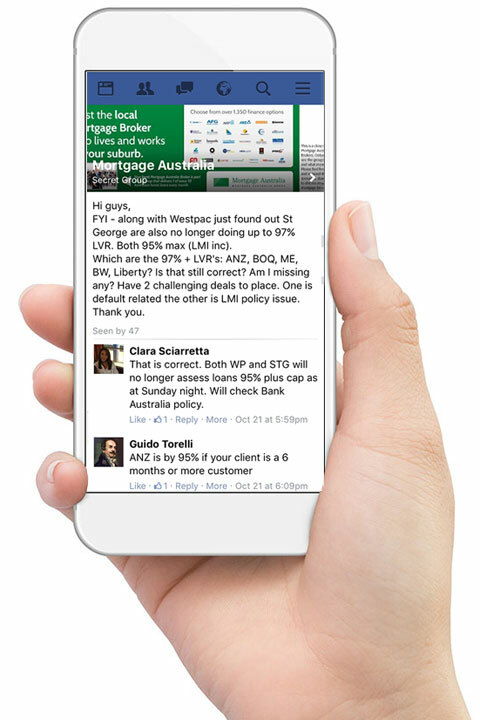 We have a nationwide network of experienced Mortgage Australia brokers who are happy to help each other out with day to day broking issues, lending scenarios and also share ideas in our private Facebook group. It is a closed group, open only to invited members. This group acts as an always available forum for our member brokers. It is a community where you can ask questions, and answer the questions of others. Whatever lending situation you are looking at, no doubt another Mortgage Australia Broker has recently addressed the same issue. As a group we can learn and improve faster than we can as individuals. So we all benefit. Also, our Brokers often help each other out if one Broker wants to go on holidays. They can temporarily refer clients to each other and share commissions, so you don’t need to be tied to your office if you want to take a wellearned break. If you don’t have your own Australian Credit Licence you can work under our Licence as an Individual or Corporate Authorised Credit Representative. We know that understanding all the compliance requirements can be tricky, so at our cost, we perform an annual review of some of your loan files and provide a report and checklist to you for areas requiring improvement. We also provide comprehensive training, templates and guides on compliance through AFG’s Knowledge HQ. The AFG FLEX software manages a lot of the compliance requirements as you submit loans and your mentor will also be able to guide you on correct procedures. We want to make sure we stay clear of any issues with ASIC so all the key areas are covered – compliance documentation creation and storage, responsible lending, borrower identification, advertising, comparison rates, referrer guides and much more. For Brokers that want to really take control of their business and get results, we also offer subsidised one-on-one Business Coaching through a recommended partner. This coaching focusses on client engagement, prospecting and self-lead generation. You will work with the coach to create a unique plan, tailored to your business which your coach will help you to implement. There is an additional cost for this which is wholly paid to the coach. Due to the huge value we see in coaching, Mortgage Australia will subsidise this cost for approved Brokers. This coaching plan covers five formal sessions over a three month period and includes unlimited calls and emails to your coach. This is suitable for all Brokers who have between one and three years industry experience and it is recommended you complete the Mortgage Broking: Lead Generation and Sales Mastery self-paced training program and the Advanced Training Program to get the maximum benefits. Develop your unique sales script that captures who you are and what you are looking for and describes the incredible value you can add back to professional referrers. You and your coach go out together appointments and visit 2-3 potential referrers. Here your coach will present on your behalf and the goal will be to get one of the referrers to send you a lead. Review and develop strategy on next steps. 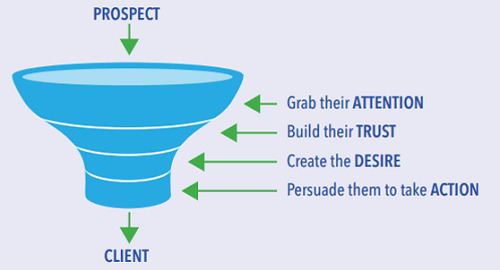 Improve the client enquiry engagement process to increase your conversion rate. Comparison of Client vs Broker ‘head space’, how to control meetings and lead your clients effectively with the goal of converting clients in one appointment. Provide guidance on a ‘maintenance program’ with each specific referrer to ensure the maximum potential is extracted. Cover off any issues of progress with sales and conversions, provide support and guidance around the complete sales process. Review of the Professional Referrers program. Provide help on any identified areas for further guidance and assistance. Develop activity plan for the next steps. As well as the Coaching for Brokers 1-3 Years, other programs are also available for experienced brokers who find themselves stuck in the 5-10 loans a month range and want to develop a business writing 20-30 loans a month. And its not just home loans, you can also offer your clients Commercial Finance, Asset and Equipment Finance, Car Loans, Personal Loans, Deposit Bonds and Insurance. Provide a complete financial solution to your clients. 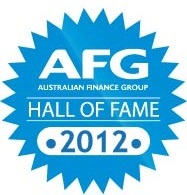 Mortgage Australia is a Master Agent of AFG. At times, we have been AFG’s single largest national group across all its thousands of members. David Ham is himself an AFG ‘Hall of Fame’ Member. We could work with any aggregator but we choose AFG because they have industry leading software and support systems to give you everything you need to provide a top quality, professional service. This allows Mortgage Australia to focus on the real challenge of your business – attracting and converting new clients and also getting repeat and referral business from them as well as more referral partners. To be clear, when joining Mortgage Australia you are also joining AFG, meaning you get the same support and resources that every other AFG broker gets – plus access to all the resources of Mortgage Australia. Simply put, Mortgage Australia helps you get clients to provide a Mortgage Broking service to, AFG gives you the tools to provide that service. Mortgage Australia helps you with customer acquisition, AFG helps you to be a professional broker. You need both to achieve your best. Click below to download an overview of all the support and benefits offered by AFG that you get if you join Mortgage Australia – in addition to everything you’ve already seen here! To ensure the security and speed of payments to you, all commissions are paid direct to you from AFG. Commission rates range from 80% up to 90%, dependent on experience and loan volumes. So you can get everything AFG and Mortgage Australia offers without compromising on commission rates, your independence or ownership of your clients! The only ongoing cost charged to you by Mortgage Australia is for your PI Insurance and ASIC’s Credit Rep Levy if you do not have your own Australian Credit Licence. We collect $95.49 per month to cover these costs that we incur for our Credit Reps.
Apart from that, you are charged at cost (no markup) for any design and printing work. 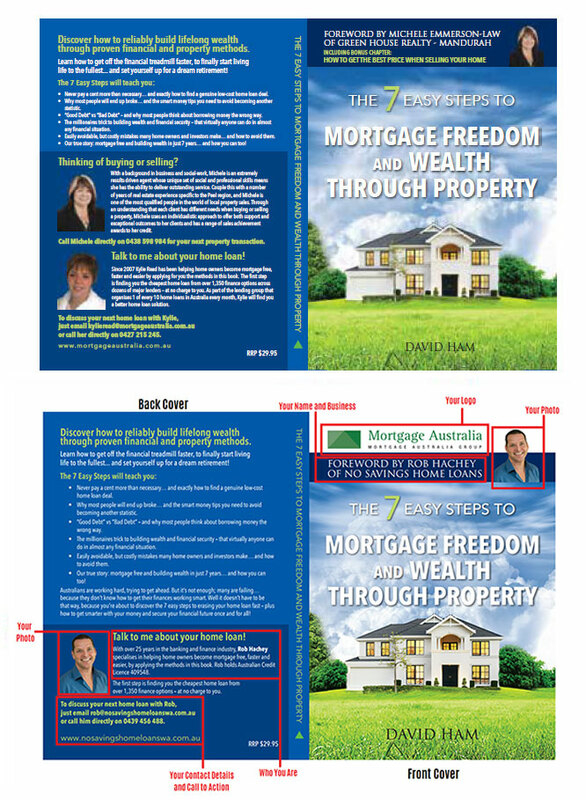 The once off cost to create your personalised version of The 7 Easy Steps to Mortgage Freedom is $220 for your e-book version (which you can then use for free for as long as you are with Mortgage Australia), then another $125 to make it ready for on-demand printing if you want physical copies. The cost for printing ranges from $5.50 per book for larger orders up to $6.95 per book for smaller orders, including delivery to you. There is no minimum order size. 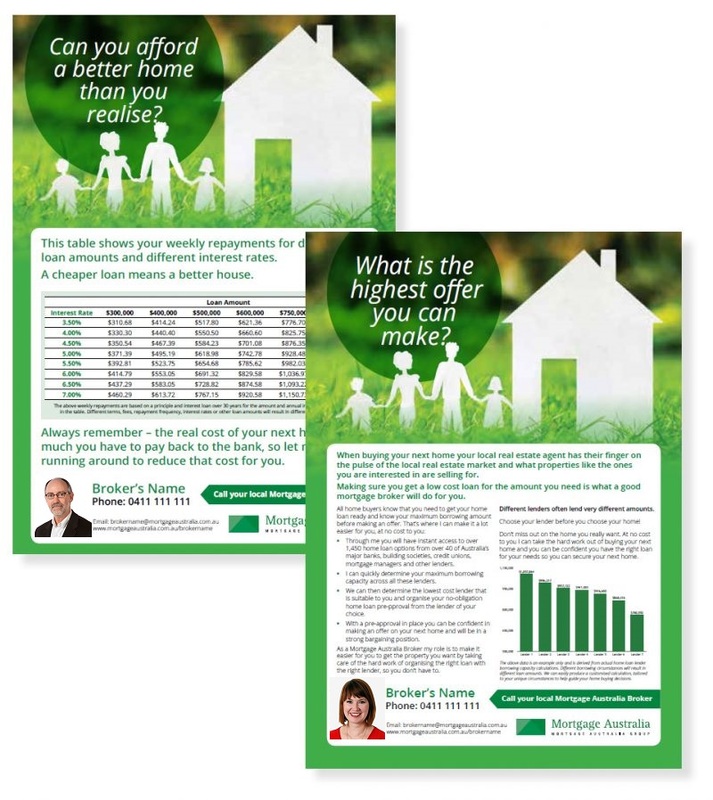 Mortgage Australia does not add any extra costs, you are charged exactly what the printers and designers charge. You are responsible for your own industry membership costs such as CIO/FOS and FBAA/MFAA. Australian Credit Licence holders are responsible for their own PI Insurance and licensing costs. Since starting Mortgage Australia over 16 years ago, David Ham (BA Psych, Hons) has specialised in developing systems of client attraction, conversion and retention and applying them to independent Mortgage Broking businesses like yours. From an individual Mortgage Broker, working from home, chasing clients and writing loans, he built Mortgage Australia into the business it is today, having settled 18,684 home loans totaling $5.12 Billion, and still going strong. 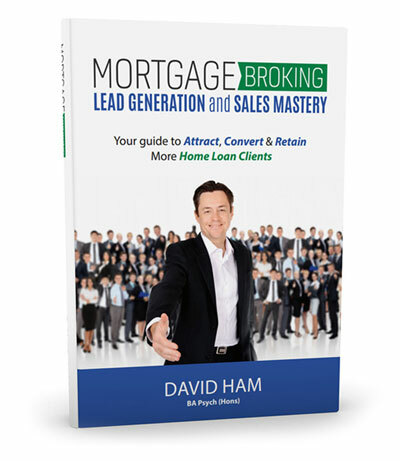 His second book, Mortgage Broking: Lead Generation and Sales Mastery, details the principles and systems that underpin the most successful Mortgage Brokers. These same principles and systems are what Mortgage Australia itself provides to it member brokers. The good news is that you don’t need to build everything from scratch, you can take advantage of purpose-built, proven Mortgage broking sales and marketing assets and systems that are ready to be personalised to you. You can get your full FREE physical copy of this book just by booking a call and speaking to David Ham.